SingleViu instruments represent the latest technology in instruments, and offer a top of the line solution by being able to work directly with traditional analog senders or work directly off a J1939 CAN network. Each SingleViu gauge has it's own microprocessor, which allows it to have a dual-input capability that can be switched from it's default analog input to J1939 CAN via the SingleViu Configuration software . 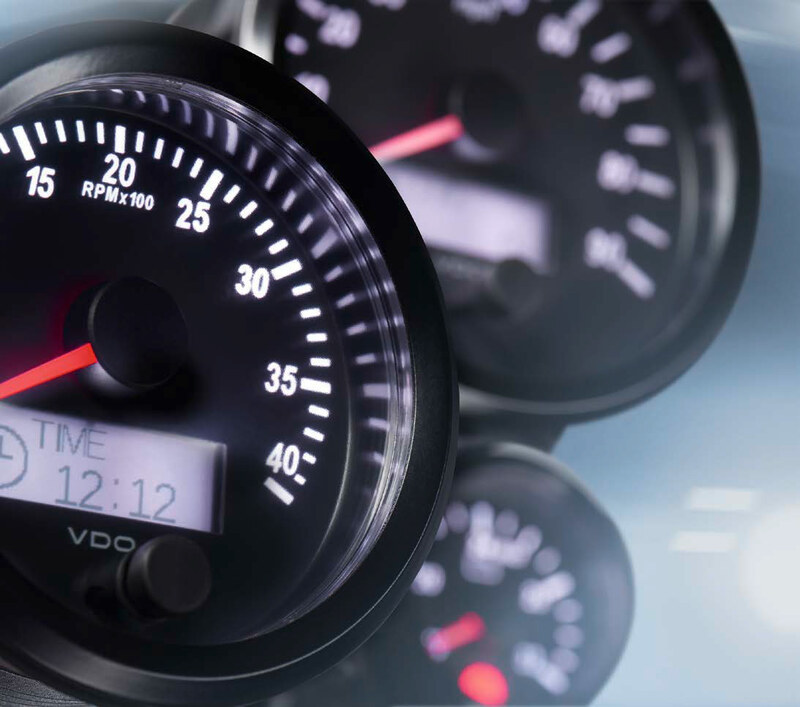 Each speedometer or tachometer can also the display the J1939 system fault codes. These features, along with waterproof and fog proof construction, RGB LED illumination and advanced stepper motors make SingleViu the ideal solution when traditional gauges are needed or desired. SingleViu 2 1/16in (52mm) 5bar oil pressure gauge.